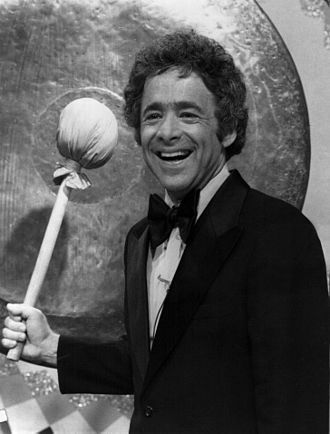 “`Chuck Barris created a game show empire that included The Dating Game (with a familiar theme song), The Newlywed Game (and its theme), and notably, The Gong Show. At one point, Barris was supplying television networks with 27 hours of entertainment, mostly in five-days-a-week daytime game shows. “`After being dropped from a low-level job at NBC, he went to ABC, working backstage at the television music program, American Bandstand (then filmed in Philadelphia), originally as a standards-and-practices person. Barris persuaded his bosses to allow him to open a Hollywood office, from which he launched his game-show empire. He also found success in the pop music world. He wrote the 1962 hit record Palisades Park, which was recorded by Freddy Cannon. “`Chuck Barris hit the ground running in 1966, with The Dating Game, hosted by Jim Lange. Future celebrities who appeared as contestants included Arnold Schwarzenegger, Tom Selleck, Michael Jackson, Steve Martin, and a pre-Charlie’s Angels — Farrah Fawcett. On a personal note, I appeared on The Dating Game on three separate instances. I wasn’t chosen. Boo! “`After his brand of game show-programming had run its course, Barris went into semi-retirement, and wrote his autobiography, Confessions of a Dangerous Mind. In it, he claimed to have been a former CIA assassin. George Clooney produced a motion picture based on the writings of Barris in 2002. Chuck joined George to promote the film, boldly claiming that his shows were a forerunner to today’s reality television programming. “`The irreverent Chuck Barris was 87. This entry was posted on Thursday, March 23rd, 2017 at 12:10 am	and is filed under Blog by Manny Pacheco. You can follow any comments to this post through the RSS 2.0 feed. Responses are currently closed, but you can trackback from your own site.